The functional principle of atomization of the DUMAG® Ultrasonic Nozzle is based on the principle of the Hartmann generator. In contrast to conventional atomizer nozzles, compressed air or steam and medium, such as liquid waste materials, clash briefly outside the nozzle. This enables the throughput of liquid media at low inlet pressure. 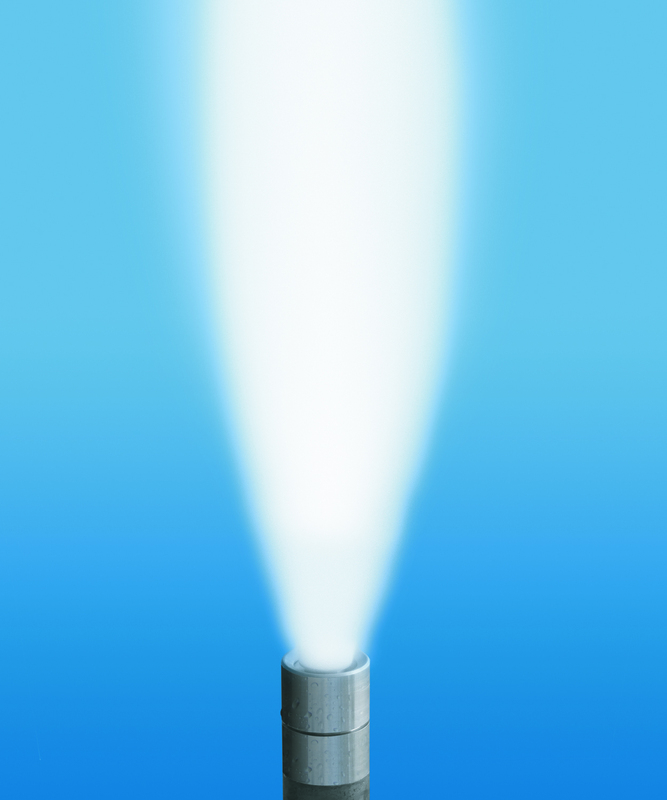 The high-frequency vibrations generated by the geometry of the nozzle result in a fine dispersion of the medium and, subsequently, in an optimum combustion process. The adjustable atomization pattern from the free jet to the wide jet allows an almost unlimited application.